Do You Have to Take the BET? The answer to this question may not be as clear-cut as you’d expect. 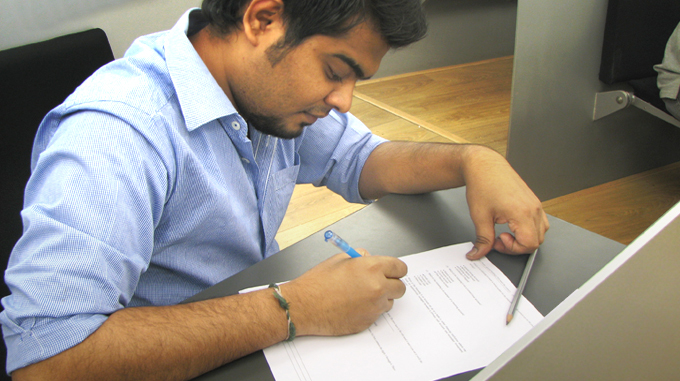 The BET is not a requirement for applicants who have CAT, CMAT, GMAT, GRE or XAT scores to report. However, even if you are planning on sitting for one of these exams (or if you have already), it benefits you to be proactive and take the BET. Why? Because our admissions process considers the best of all of your scores. In other words, the BET not only lets you show us what you’ve got, but also enhances your admissions prospects by giving you yet an extra chance to put your best foot forward, if the other test scores are not as high as you had thought them out to be or even if you have not taken any other tests. So while you don’t technically have to take the BET, doing so now exponentially improves your chances of getting into MISB Bocconi, with the option of submitting the other test scores to us later (if need be). The BET may be a different kind of exam than what you’ve experienced in the past. While others focus on straight-forward scores, the BET assesses something different: your potential for success in the work environment. At MISB, we want you to succeed truly, which is why we offer access to a breadth and depth of resources, including everything from example questions to full-length tests — all with answers. Not only do these practice opportunities help you gain an understanding of what to expect when you take the BET, but they teach you what you need to know to do well on the exam. Of course, the rest is up to you: understanding the test instructions, allowing ample practice time, and studying in a productive environment are all important components when preparing for the BET. While taking a standardized test may still make your list of mandatory tasks, we urge you to take a different perspective. Ultimately, the BET is not just a test, but an opportunity to get one step closer toward your future as part of our extraordinary PGPB community.